Would you like to study the Korean language at a North Korean university? You can, with Tongil Tours. 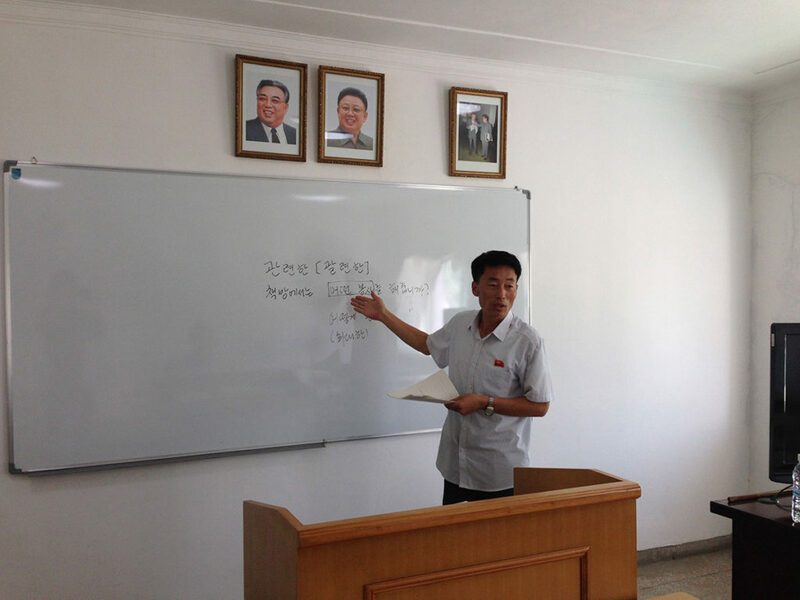 Tongil Tours was the first tour operator to offer concentrated language study at a North Korean university in 2016, and we continue this important tradition with the 2019 Pyongyang Summer Language Program– the longest running open language program in North Korea. As a company with a focus on educational tourism, we are committed to making sure that our language program meets the highest standards. The tour will be led by a Korean-speaking Tongil Tours staff member who understands the needs of those studying Korean as a foreign language. Applications are now open for international students, including ethnic Koreans (although South Korean and US passports cannot be used to travel to North Korea). 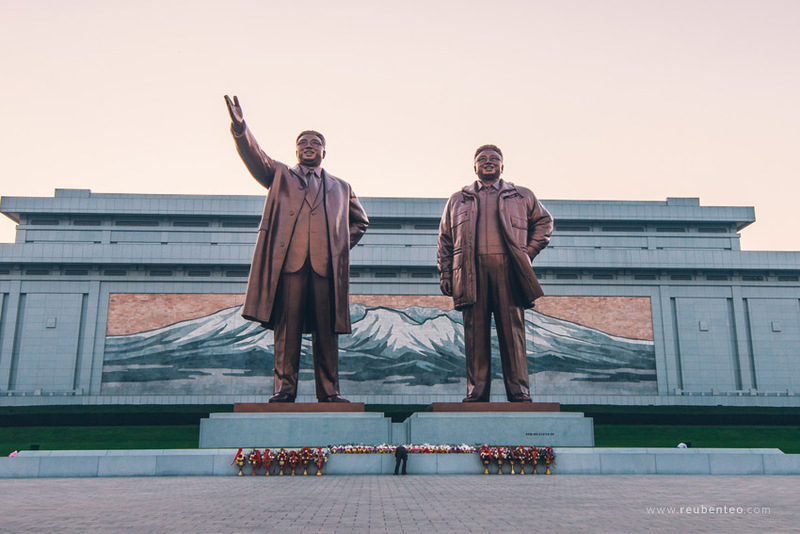 The 2019 Pyongyang Summer Language Program is a rigorous, intensive three week immersion experience that will help Korean language learners move to the next level in their language skills. The focus is on conversation with native language speakers. The program caters to all levels from beginner and intermediate to advanced. Beginning Korean language learners are welcome. The course is intended for serious language learners who are committed to focusing on their studies every day. Upon acceptance, you will be part of an elite group: among some of the first westerners to ever study at a DPRK university. Upon finishing, you will be issued with an official certificate of completion from the university. Get daily conversational practice with North Korean teachers, guides, hotel and restaurant staff etc. Visit key sites in Pyongyang, while every weekend travel to places outside Pyongyang on Saturday and Sunday, staying overnight. By the end of your three week course you will have visited many fascinating sites of interest both in Pyongyang and other DPRK locations, all the while practicing and strengthening your Korean language skills. Your teachers will be North Korean. Outside of sensitive political topics, you can chat about anything and really build friendships. The program will be held at Pyongyang University of Foreign Studies (평양외국어대학), among the best universities in the country. 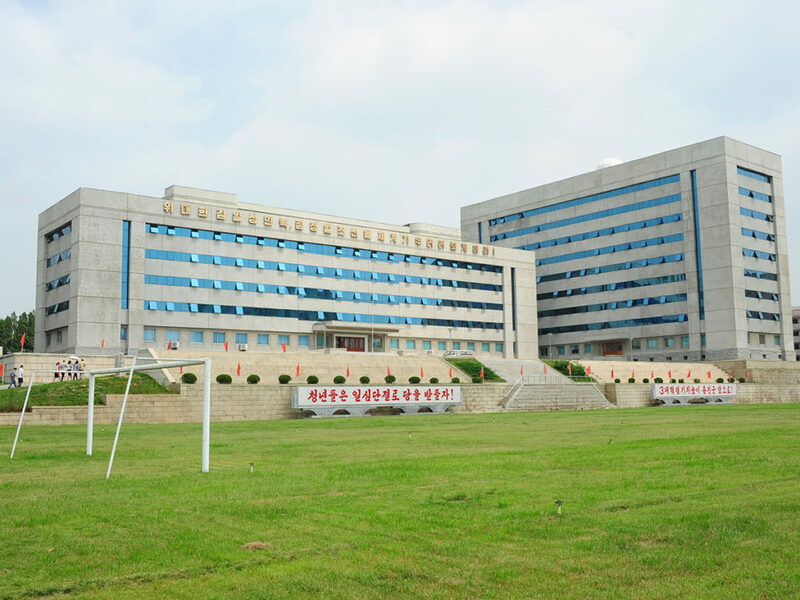 Pyongyang University of Foreign Studies is the top foreign language and international studies university in the DPRK and the place where its future diplomats and international businesspeople are trained. Tongil Tours is the only tour operator able to organise study programs at Pyongyang University of Foreign Studies. We will also visit other universities in Pyongyang such as Kim Il Sung University (김일성종합대학) for special lectures on Korean politics, culture and history. Please note that minor changes in daily schedule and overall itinerary are possible due to circumstances beyond the control of Tongil Tours. Trips to areas outside of Pyongyang will be held on the weekends. 9:30 – 13:15 CLASSES– 3 classes of 1 hr 15 minutes each. 3rd class is focused on conversation practice. 19:30 – rest, homework, free time to enjoy hotel facilities such as billiards, table-tennis, bar etc. *Please note that afternoon times will change some days depending on the sightseeing schedule. Incidental expenses throughout, such as souvenirs, personal items, extra food/drink etc. 4 PM – Meet Tongil Tours staff at Beijing Railway Station and get ready for the interesting and leisurely Beijing-Dandong overnighter. Be sure to stock up on snacks, water, and food for Friday night meal. Cafe and snacks available on board, though more expensive. 5:30 PM – Train departs. Dinner and drinks on train. Overnight aboard the train (sleeper bunks). Orientation will be held on train for train travellers. 10 AM (Beijing time) – Assemble at Koryo Air flight counter in Beijing International Airport Terminal 2 before taking Air Koryo flight JS 152 to Pyongyang at 12:55 PM. A Tongil Tours staff member will be ready to meet participants and deliver tickets and visas, and give a briefing session. 12:55 PM – (Beijing time) – Estimated flight take off time. Flight time – approx. two hours. 8 AM – Meet Tongil Tours staff and fellow travellers joining group from Beijing train at Dandong Railway Station. Pre-briefing and orientation for Dandong departure travellers. 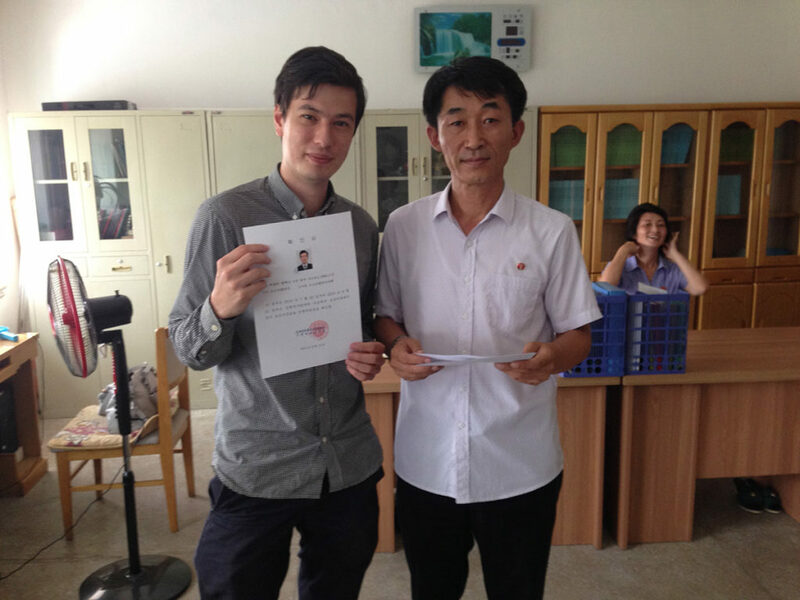 DPRK visas and train tickets distributed at this time. 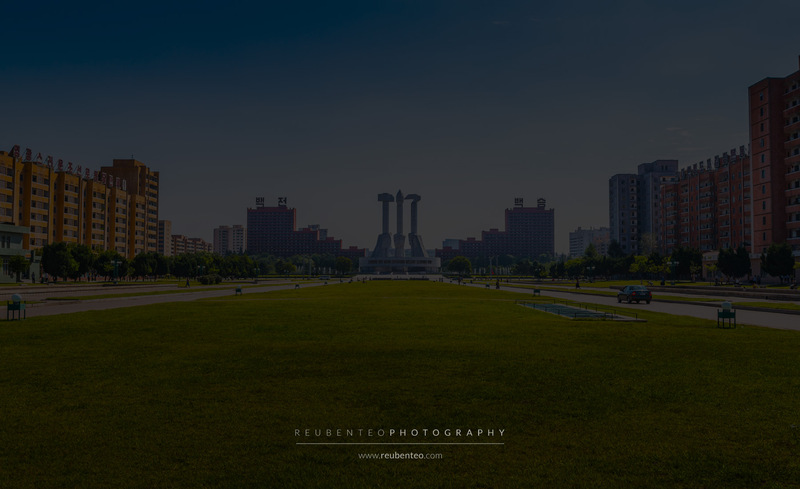 10AM – Departure from Pyongyang Train Station. AM – After breakfast, we drive to Sunan airport for Air Koryo JS 251 Y back to Beijing. 10:30AM (Pyongyang time) – Estimated departure time. Flight time – approximately two hours. 12 noon- (Beijing time, half an hour earlier than Pyongyang time) – Estimated arrival time. Upon arrival in Dandong at 5pm, you will transfer to your Dandong-Bejing overnight train, on which you will have dinner, as well as breakfast the following morning before arrival in Beijing. Cafe car, snacks and water available on train but be sure to stock up with needed food items before boarding. Afternoon Pyongyang city tour itinerary will be decided with input from group members. See below for weekend trip sample itineraries. Mount Myohyang – one of the most famous mountains in the Korean peninsula. It is known for its scenic beauty and as a sacred place with various myths and legends associated with it. Mount Myohyang Manpok Hiking Trail – A mildly strenuous hiking trail that follows graceful mountain streams and waterfalls up through lush pine forests to several successive viewing platforms. Popular among local hikers. Sangwon Hermitage – First founded as early as the 10th century, the present structures that make up this picturesque Buddhist hermitage date from the 16th century. International Friendship Exhibition – This complex is where gifts from foreigners to North Korea’s leaders are stored and exhibited, including gifts from Dennis Rodman. Dinner and overnight at Chongchon Hotel in the mountains. Ryongmun Caves – An expansive cave network located near Mount Myohyang in North Pyongan Province. Drive back to Pyongyang (approx. two hours). The Demilitarised Zone (DMZ) at Panmunjom and the Joint Security Area (JSA). Here tourists can visit the Armistice Talks Hall, the Armistice Signing Hall and Panmunjom Peace Village from the northern side. LUNCH – For lunch, we head to Kaesong to enjoy a meal of local specialties said to have been the cuisine of royalty. Optional meal upgrade: traditional stuffed chicken hot pot with ginseng and pomegranate. (EUR 30) Koryo History Museum – This museum is dedicated to Kaesong’s past as capital of Koryo Dynasty Korea (which lasted from 919 to 1394 AD). Sonjuk Bridge – Constructed in 1290, Sonjuk Bridge is a Koryo dynasty stone bridge located in central Kaesong City. Tomb of King Kongmin – Completed in 1372, this is the tomb of King Kongmin, 31st king of the Koryo Dynasty and his wife, Mongolian princess and later Korean queen, Queen Noguk. Drive to Sariwon, halfway between Kaesong and Pyongyang.Sariwon Folk Village – A folk culture-themed thoroughfare in downtown Sariwon adorned with traditional style gates, ponds and pavilions. pre-briefing and orientation in Beijing prior to school start. EUR €2,800, also payable in AUD, USD or RMB. During your trip, sometimes it’s just more convenient and comfortable to have your own room. That’s why we offer the option to have a single room all to yourself. €50 euro per night, also payable in AUD, USD, or RMB.